The Best Weed Killer – – And It’s FREE! 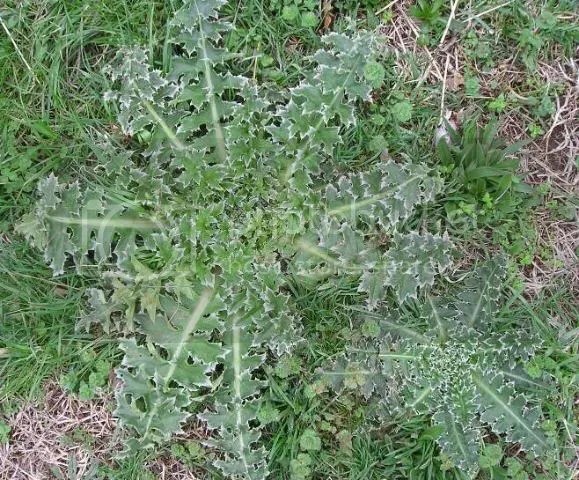 I hate to admit it, last year I used an entire spray bottle of weed killer and I still haven’t made a dent in the thistle population that grows along the fence and continually colonizes our yard. This year I have a far better solution that does not involve chemicals and can be made at home without requiring any special purchase. The secret is boiling water! It does not get simpler than that and the results speak for themselves. 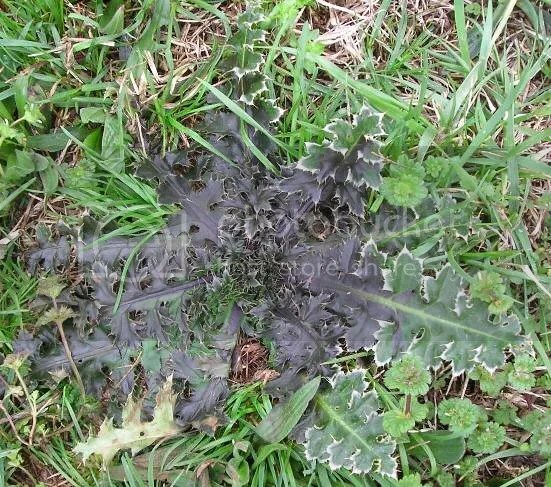 Here is a thistle approximately 30 minutes after it was sloshed with boiling water. This is a remarkably simple solution. Fill a large stock pot with hot water, wait until it is at a strong rolling boil, and put on your hot mitts and walk around the yard dousing your enemies with the water. A few tips from experience, the bigger the weed the easier it is to aim. Also, I recommend scouting the area beforehand so you know where you are going. Immediately you will notice the plant becoming blanched, like a steamed vegetable, it will smell this way also. 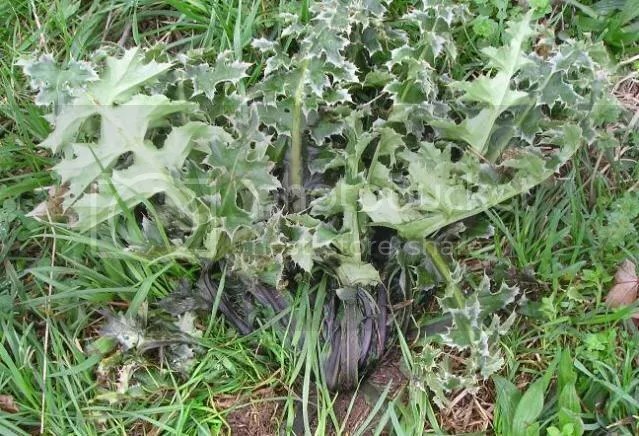 The Thistle turned from dark green to light bright green almost immediately and then blackened within the hour.The only downside to this method is it can require a significant volume of water. Especially for larger weeds a second application may be necessary. Even the biggest meanest thistle or gnarliest weed will be at your mercy. A word of caution, Urushiol, the active irritant in poison ivy, can remain active for several years, so handling dead plants can cause a reaction. Roundup has already launched their seasonal ad-campaign, promoting a new extended control spray that keeps down weeds for four months after application, while simultaneous collecting on your children’s shoes every time they walk over the treated sidewalk. Shoes have been proven to be a major source of pesticide exposure for children. With boiling water you do not have your worry about your children or pets coming into contact with pesticides. It also works great on small weeds growing in cracks on the walk. Try it! « The seed police came back! Poison Ivy is the one thing that I resort to using Round UP on but I’m going to try this, because I don’t feel good about it. 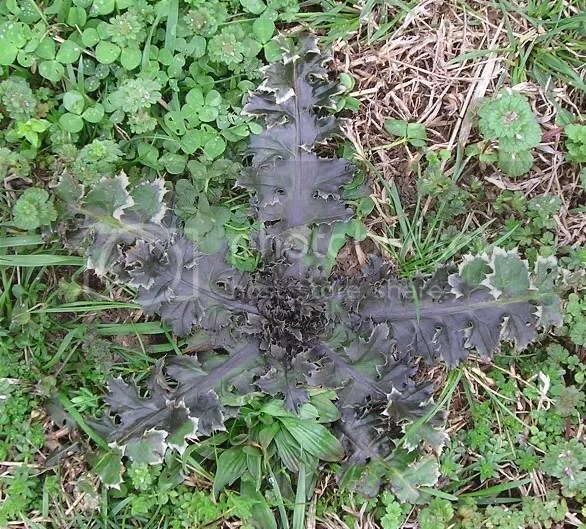 What thistles are to you, broad plantainleaf is to me. After you kill em with hot water is it easier to pull them out? Yes, I wouldn’t try it on poison ivy. I haven’t tried pulling any of them out. I’m not sure if it would be possible to pull them out, most of the foliage on my thistles was really mushy. Thanks, boiling water is an idea I should try out. I did have some success with old news papers – just laid them out on the offending weeds for a month or so and the weeds died due to the lack of sunshine. I definitely want to try more mulches this year. That’s one of my new year’s gardening resolutions. Thanks for the tip I may put some down in the garden. Thanks for the tip. My landlord loves to bring in the lawn guys that spray god-knows-what. Perhaps I’ll be out there with the kettle before they arrive !